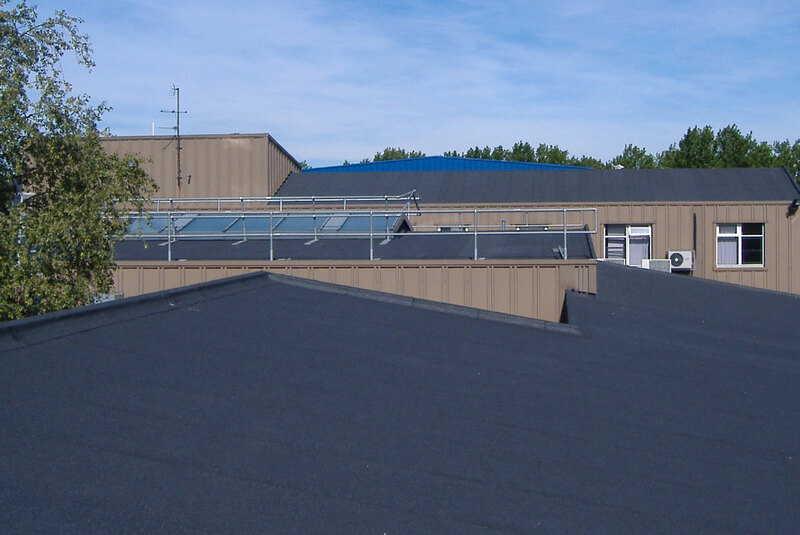 With a school in operation throughout the refurbishment, it was vital that the new roofing systems could be installed with safety and with minimal disruption. Esha Universal met the criteria. 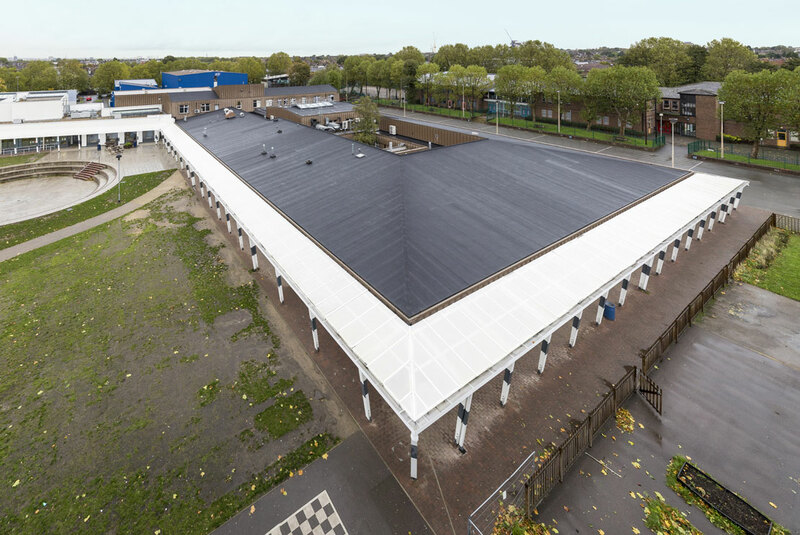 Appointed to complete a complex roofing refurbishment at Kelmscott School in the London Borough of Waltham Forest, London-based Thameside Roofing turned to the ease of installation, cost effectiveness and proven performance of Esha Waterproofing System from Radmat Building Products. 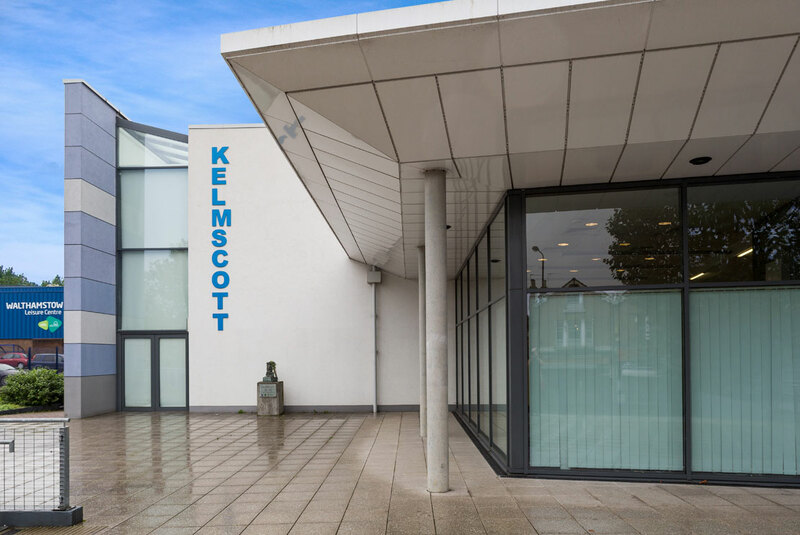 Refurbished in 2008 as part of an £11.2m Building Schools for the Future (BSF) programme, 2013 saw Kelmscott School requiring a reliable roofing system for the main school building and several language blocks. With over 900 pupils and the project starting prior to the 6 week summer holiday, it was vital that the 3,000m2 application caused minimal disruption and was also completed in time for the new term in September. Achieving the complex refurbishment programme within the required time period required the use of a variety of Esha Upgrade Waterproofing Systems including self-adhesive EshaFlex 370 SA Black mineral reinforced bitumen membrane, torch applied EshaFlex 370 Black mineral reinforced bitumen membrane and cold bonded EshaUniversal single layer POCB membrane – providing the perfect solution at Kelmscott School. Working closely with Radmat, Thameside Roofing completed the 12 week contract in just 8 weeks. Close liaison with the school proved paramount to the project’s success and early completion, with a substantial amount of planning and site co-ordination to ensure classrooms were vacated whilst roofing works took place without impacting on the school curriculum timetable. Careful planning was also required to install the roofing system safely and satisfactorily with minimum disruption to the school, its teachers and pupils. Due to the large presence of asbestos-lined ceiling boards, all areas directly affected by the works needed daily air monitoring tests to ensure no presence of asbestos fibres where found. Installation of the roofing system first required Thameside Roofing to treat the existing metal roof surfaces before mechanically fixing Radmat’s timber faced ProTherm PIR insulation board over the roof. The factory laminated 9mm plywood finish of the ProTherm PIR OSB Comp proving a smooth robust finish to complement the thermal performance improvements provided by the insulation. 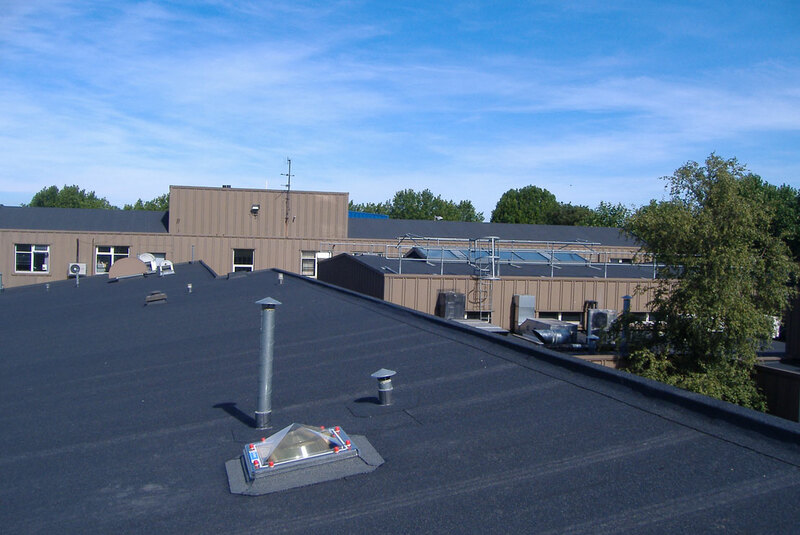 To ensure the insulation board was protected by a durable long lasting roofing membrane Radmat specified EshaFlex 370 SA Black mineral, a self-adhesive SBS modified reinforced bitumen membrane for the main roof areas. Internal gutters were lined with EshaUniversal, a robust 3.2mm thick POCB modified single layer membrane without chippings to aid water flow. 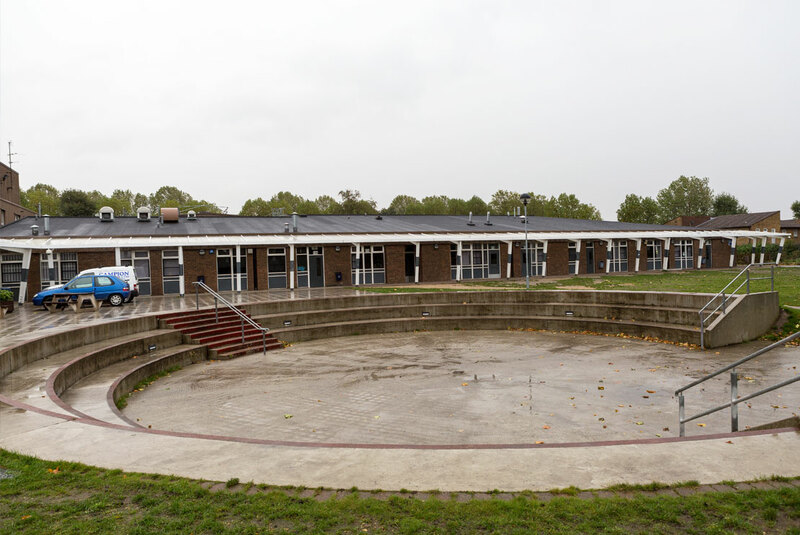 On completion of each phased segment of works, Thameside Roofing undertook the delicate operation of removing existing ceiling tiles from some 50 classrooms to allow the asbestos lining treatment to take place. On completion, the tiles were re-installed. Combining superb materials, high standards of workmanship and a 20 year insurance backed guarantee, Radmat and Thameside Roofing collaborated to extend the roofs’ life expectancies with a high quality refurbishment application that far exceeded the client’s expectations.